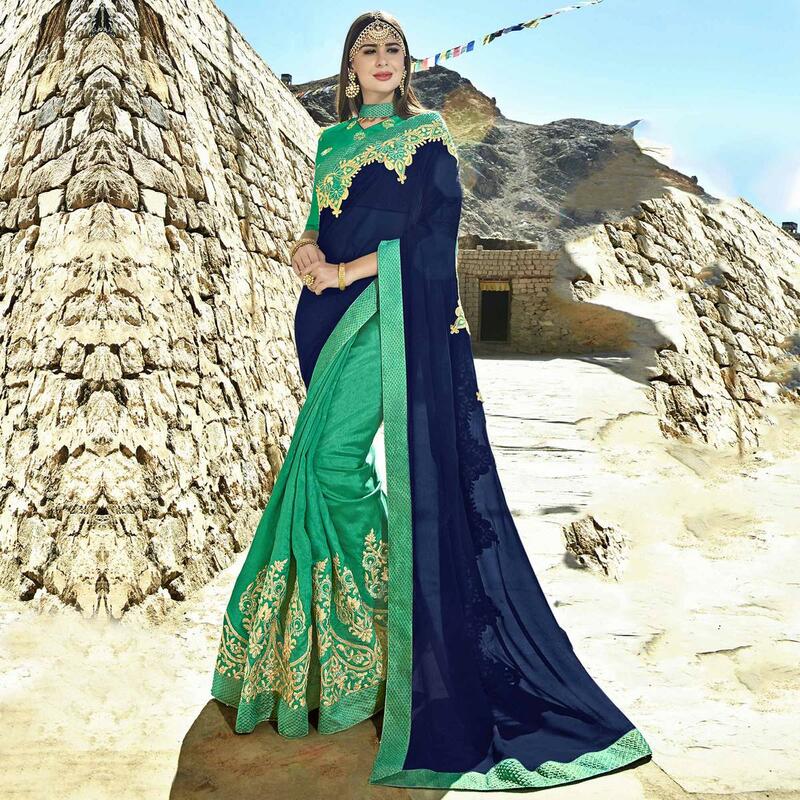 Let the world know about new sense of trend & style with this imposing turquoise green-navy blue colored party wear saree. The saree is made of moss georgette fabric and has a beautiful embroidered work which attracts the crowd. 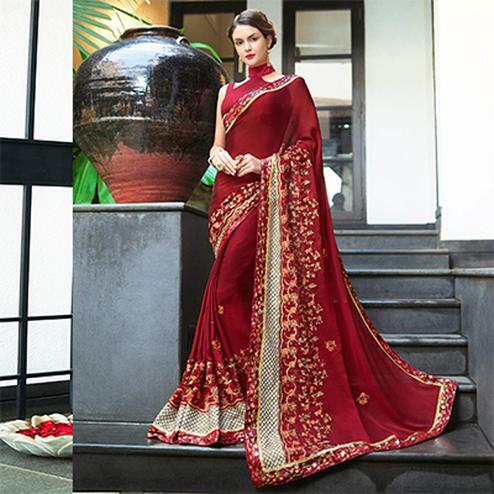 This saree is comes along with unstitched embroidered banglori silk blouse piece which can be stitched as per your choice and requirement. 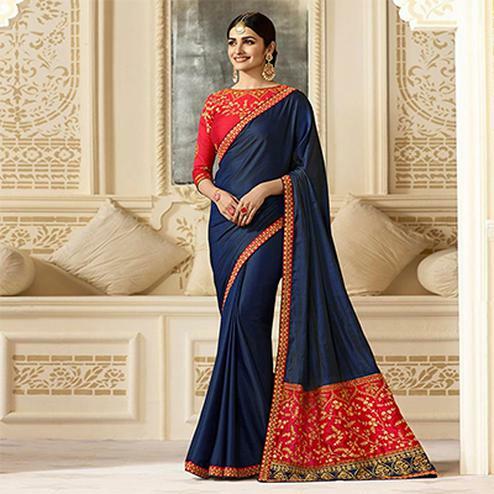 You can wear this saree at wedding, parties, family functions or festivals, where you want to be center of attraction. Pair this with beautiful jewellery and pair of heels and you will look beautiful. Note:- The actual product may differ slightly in color and design from the one illustrated in the images.